The following recipe comes from Savor the Thyme a wonderful blog that focus’s on good food and family. 4. Bake about 20 minutes depending on thickness. Do not overcook. 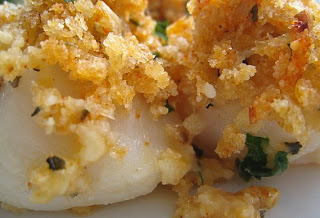 This is a great recipe and offers nice contrasting textures.